Experienced prop maker Eric Hart walks readers through techniques used in historical and contemporary prop making and demonstrates how to apply them to a variety of materials. Hundreds of full-color photographs illustrate the tools and techniques used by professional prop makers throughout the entertainment industry. 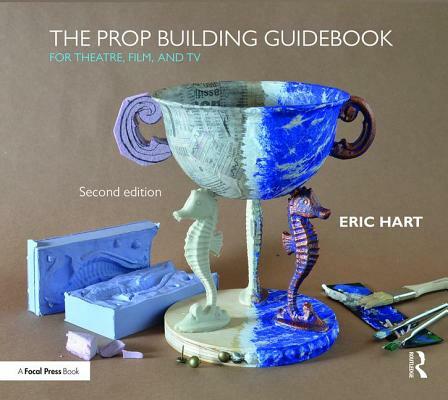 Eric Hart is the props master at Triad Stage and a member of the Society of Properties Artisan Managers (S*P*A*M). He has built props for numerous theatres on and off Broadway and throughout the United States. He has worked with some of America's top actors, directors and designers at the Santa Fe Opera, the Actors Theatre of Louisville and the Public Theater. Eric has also constructed props for display and exhibition including the holiday window displays at several major New York City retail stores. His photography and articles about props have been published in Stage Directions Magazine, Scrollsaw Magazine, Theatre Design and Technology, and on his popular blog, Prop Agenda.